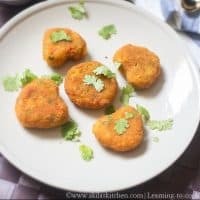 Soya chunks cutlet or meal maker cutlet recipe with step wise pictures for your easy understanding. This cutlet is very healthy and protein rich as it is made up of soya chunks and all veggies are mixed with it. I always love the cutlet. That too the protein rich Soya chunks cutlet or the Meal maker Cutlet. 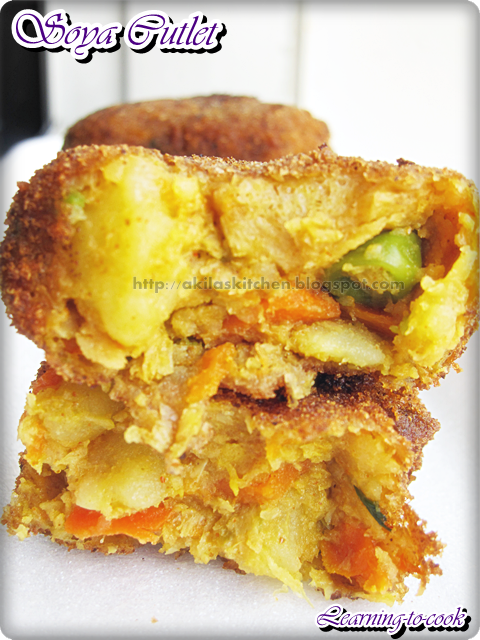 Kids will definitely love this kind of cutlet, with different shapes. 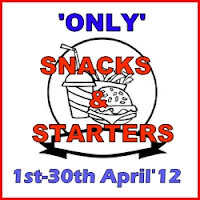 It is a perfect party snack, and easy to prepare too. 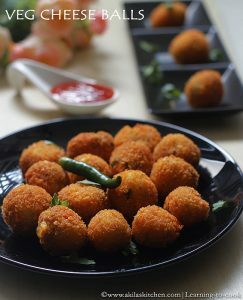 Here I have deep fried the cutlets, and you can make it shallow fry it in a tawa itself. Both tasts awesome with simple tomato sauce. Wash and Soak soya chunks in water for 20 to 30 mts. Squeeze out the water completely. Grind in a mixer grinder or food processor. Cook the vegetables with little water and a pinch of salt. Now in a big vessel, add the grinded soya chunks, chilli powder, green chillies, coriander powder, garam masala and mix well. To this add the potato, and smash it nicely. Now add the cooked vegetables, and salt and again mix nicely to form a thick dough consistency. Take a small portion of the vegetable mixture and make into a desired shapes. In a small bowl, add the all purpose flour and corn flour and mix water to it. Now in a pan, pour oil and heat it. When the oil is hot, fry the coated cutlets one by one and fry nicely, until it is brown in colour. Remove from oil, filter the oil. Serve the soya cutlets with a ketchup…. Sending my Soya chunks gravy to Sangeetha and Prabha’s Show me your HITS event. I too have to try this out, looks fabulous and healthy too! Still in valentine mode? Nice cutlets. Cutlets have come out perfect, must be totally tasty and yumm. 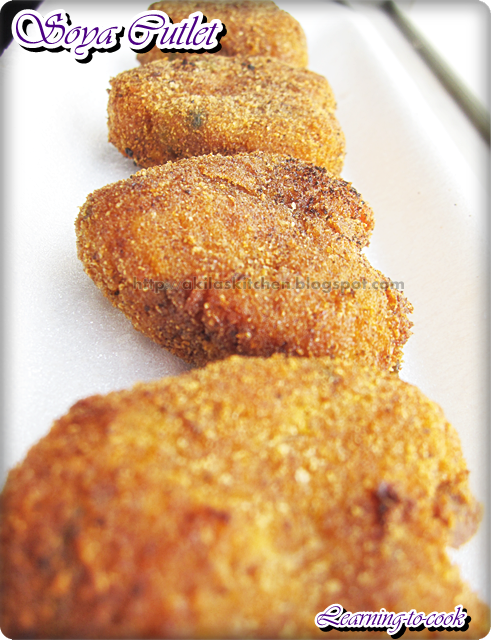 I love soya recipes a lot…cute looking cutlets & so crispy!! Heart shaped cutlets looks damn cute. Delicious cutlets, looks so cute n healthy. Cute heart shaped cutlets..yummy delicious ones,love these a lot! I landed on your website via Lakshmi Amma's 'Kurai OnDrum Illai' and am amazed at the way you have organised your website, photographs, postings etc. All the Best and Keep it up. Cutlet looks healthy and yummy. Lovely presenation. Cute pretty cutlets !! unique and interesting snack ! !